and her long time friends from the FR world are all present to celebrate her return at the Parisian premiere of her new hit movie, Sacred Lotus! 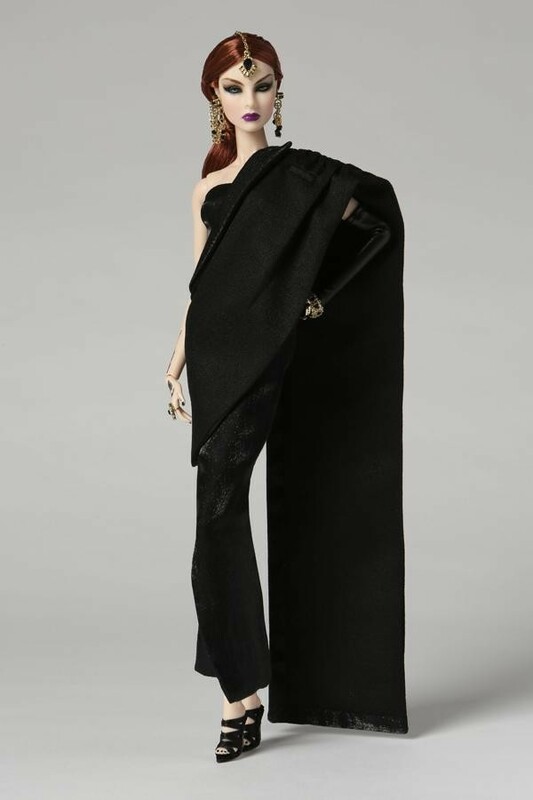 is composed of true miniature works of fashion art that are sure to become some of your most prized collectibles to-date! 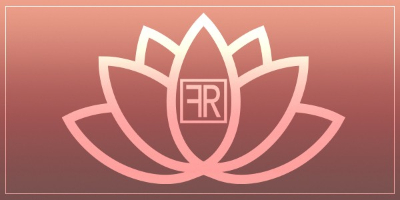 Without further ado... Let's discover the Sacred Lotus! The dolls pictured are prototypes. Final fabrics, colors and textures may vary slightly. Each doll in the collection includes a doll stand and a certificate of authenticity. For adult collectors ages 15 and up only. It came as no surprise that the only person in town that could actually outshine a movie star on premiere night would be Baroness Agnes Von Weiss. no matter how random her presence on-screen would seem to eager movie going audiences? For Agnes, how she got there did not matter much; being a part of this production was just another logical step to take in order to better cement her presence in the media. Shockingly, her brief scenes ended up being some of the most memorable ones and movie executives definitely took notice. Plans were put in motion to have her appear in other productions, if only she could act as well as she looked, something big could be in the making! Final fabrics, colors and textures to be announced. For adult collectors ages 15 and up only. No one knows how to do opening nights like oligarch Tatyana Alexandrova. While she would love for everyone to think that her sudden appearance at the Sacred Lotus premiere was just a pure "coincidence" and that the fact that she was perfectly dressed for the occasion was just a fluke, her "it's all so easy" demeanor never fools anyone. The reality is that this ever-calculating femme-fatale would never leave a single detail of such an important public appearance go unchecked. A woman of her character knows full well what she wants; after all, a Goddess demands nothing but perfection! When Kyori Sato received the official invite to Isha's big comeback premiere, the first person she texted was her friend Natalia Fatale! The pair immediately started giggling knowingly, remembering all the tricks they pulled at Isha's very first premiere party some 14 years ago and of course, they immediately started planning more of the same. Little did they know, Isha and her friends at W Cosmetics (the official sponsors of the event) had grown wiser and were well ahead of them. Whatever they'd be planning this time to steal everyone's thunder, the W crew would be ready for. The ever-mischievous Kyori Sato better watch herself, since Karma has no problem getting back in touch with you when need be! 1 back in stock If you wish to purchase please send name and address to patspotpourri@verizon.net we will send pay pal request for payment. We charge actual shipping on all dolls all of our dolls are new in box we just bought several different dolls that were out of stock please check our web site for more dolls..
Everyone assumes that Natalia Fatale has simmered down and has walked away from her nefarious ways since she rekindled her friendship with Veronique Perrin several years back, but they could not be anymore mistaken. Causing trouble for the ever so sweet and perfect Isha is what she lives for, just because, as she puts it, she can! What better place than THE big movie premiere event of the season to parade in front of the Parisian press, all aglow, just to show the plebs that what you have is still the only game in town? Cause a scene, witness everyone shaking their heads pretending to be shocked at your behavior and then leave; that's how Natalia Fatale rules the red carpet in her own glamorous way! When Isha decided to take a break from acting to travel and explore the world, little did she know that she would leave a giant void that would leave her fans panting for more! When her agent sent her the script for Sacred Lotus and she realized that she would be playing a pivotal role in the story, she knew instantly that this would be just the right vehicle for her long awaited return! Even though she was a little out of practice and the production had its ups and downs, there wasn't a dry eye on set as the director called "CUT!" on the grand wedding finale. This was going to be an instant classic; there was no doubt about it, the divine Isha was back! Important Note: The jewel on Isha's nose is not-removable. Removing the jewel will damage the doll permanently and void the warranty. 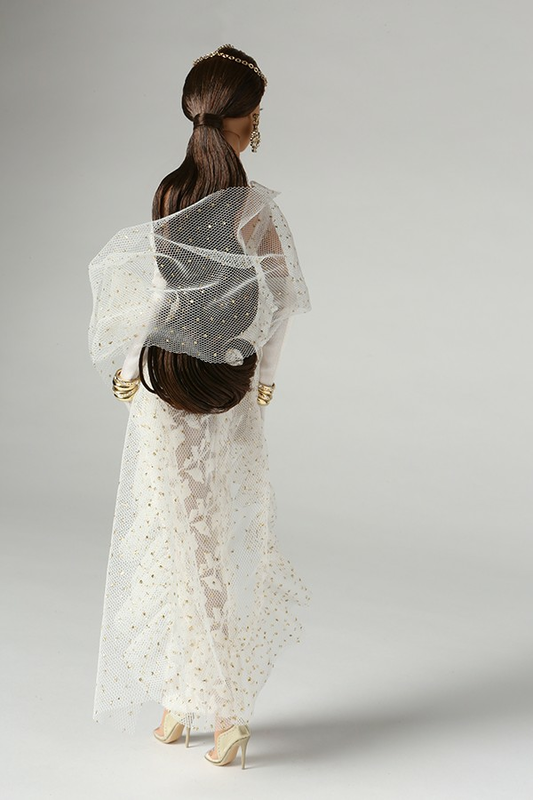 Eugenia Perrin-Frost is a 12.5-inch articulated vinyl doll with fully rooted hair and hand- applied eyelashes. This high-glam fashionista brings on the sass in an ultra-modern ensemble composed of a pale blue one-piece dress, perfectly accessorized with sky-high metallic blue high-heeled boots, a matching purse, jewelry and sunglasses. Doll stand and certificate of authenticity included. For adult collectors ages 15 and up. 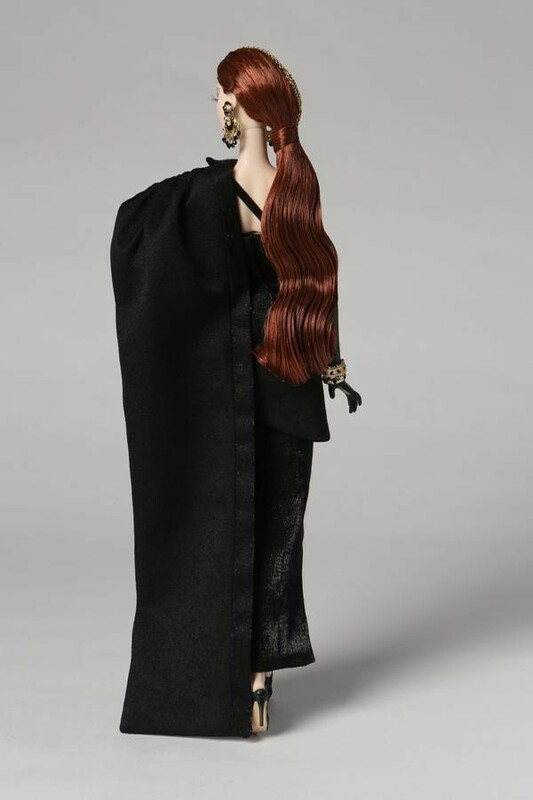 Vanessa Perrin is a 12.5-inch fully articulated fashion doll with luscious rooted hair and hand-applied eyelashes. In this exquisite gift set, Vanessa Perrin redefines what it means to be a fashionista by including three complete looks that will take her from day-to-night faster than a roll of the dice! First, she starts her day in a lovely Asian inspired lingerie set that includes a custom printed kimono with high-contrast details, then she sets the tone as she runs to catch a train in a high-fashion two-piece ensemble composed of a sheer blouse, black pants and custom embroidered gloves that are sure to become an instant conversation starter as she travels to her next appearance. Then, she quickly switches to a soft, bright pink asymmetrical evening gown with delicate embroidery and beading details to attend one of the most highly-anticipated galas of the year! 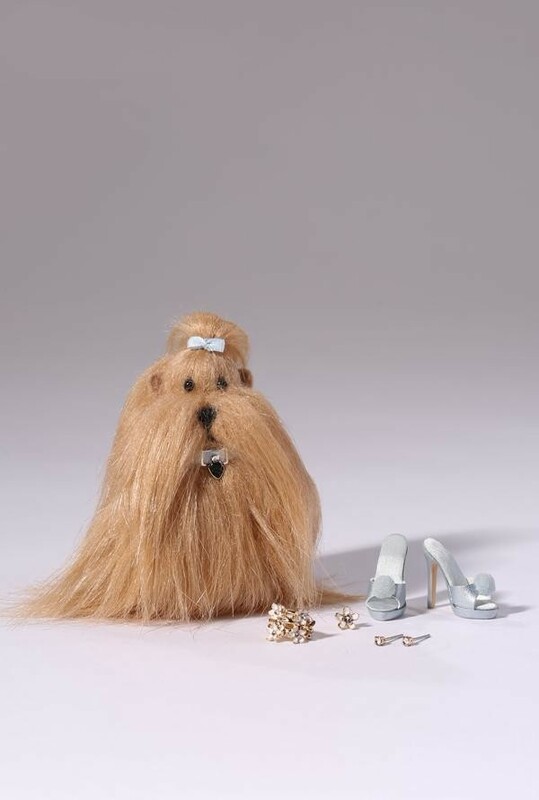 Vanessa comes complete with two pairs of shoes, a set of regular hands and a set of gloved hands, two jewelry sets, two fully functional (i.e. you can put her favorite accessories inside) monogrammed pieces of luggage, a clutch purse and sunglasses. and have the most beautiful faces we've seen yet! 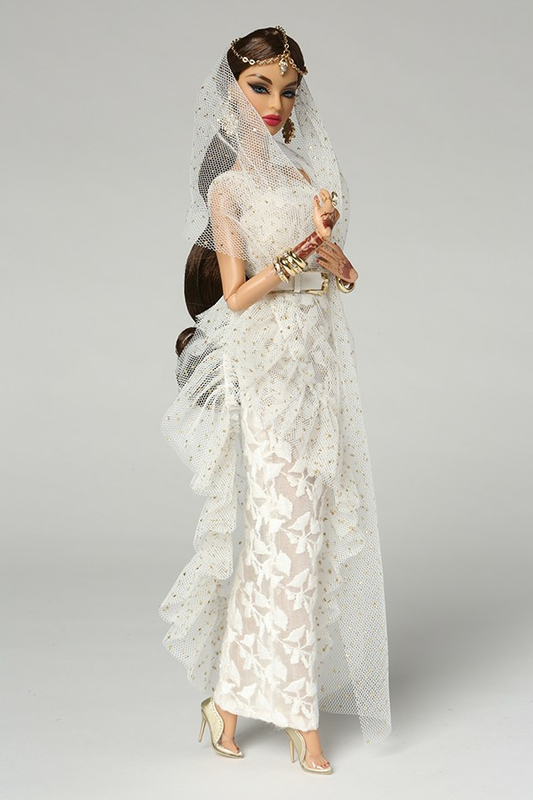 Without further ado, introducing the Fashion Royalty "Boudoir" capsule collection by Integrity Toys!